Be blessed. with each passing moment. Let good or bad events in life make more wiser, more sensitive & responsive to react in constructive manner. Be blessed the transformation which you went through according to demand of time to makes you more committed towards your dream. Be grateful for what seemed like a debacle but with sincere effort & belief you made it priceless gift. Blessed are those who struggle. Oppression is worse than the grave. Better to die for a noble cause. Than to live and die a slave. Blessed are those who courted death. Who offered their lives to give. Who dared to rebel, rather than serve. To die so that we might live. I'm blessed with everything I need. I am working hard towards everything I want. 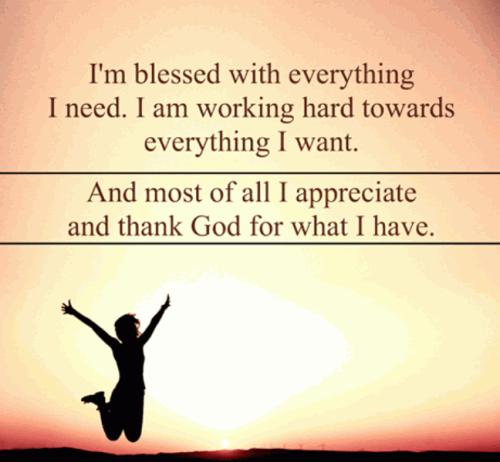 And most of all I appreciate and thank God for what I have. Blessed are those who have the best of Understanding. Love shines on those who learn from their yesterdays and want more for their tomorrows. 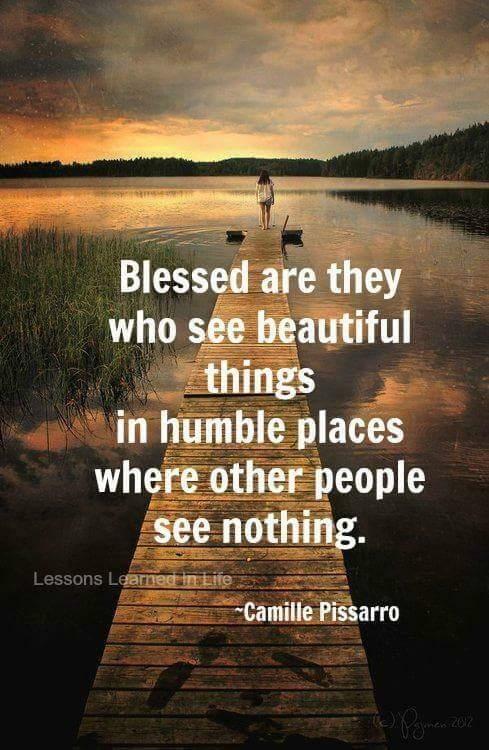 Blessed are they who see the beautiful things in humble places where other people see nothing.